I read with humor that PolitiFact found that Mayor Michael Bloomberg's educational record of improvement was mostly true. However, a closer look at the data finds that Mr. Bloomberg's education policy was a failure. The only real improvement was the bogus graduation rate. However, every educator knows that the improved graduation rates were because of "credit recovery" courses, administrative pressure to pass failing students, scholarship requirements, and linking teacher tenure to student grades. This is known as academic fraud. Moreover, the Bloomberg claim that he reduced the racial/income achievement gap is bogus, even PolitiFact questioned the claim. What PolitiFact failed to investigate was the increasing class sizes under Michael Bloomberg, the bloated DOE Bureaucracy, the underfunded public school budgets, where most schools received only 82% to 86% of fair funding and the rise of charter schools at the expense of the public schools. Just as important was Mayor Bloomberg's attempt to eliminate teacher tenure by bribing the Republican controlled State Senate by donating almost a million dollars to their campaign and asking them to eliminate 'Last in, First out". He also approved non educators to the highest positions, including the Chancellor at the DOE. Be it Joel Klein, Cathie Black, and Dennis Walcott. Under Mayor Bloomberg the DOE no longer collaborate with teachers to improve schools. Instead, they were considered the enemy to the classroom teacher. Mayor Bloomberg refused to give teachers their rightful raise, loaded up the "rubber rooms" till the expense was too much even for the Mayor, and even wanted to double class sizes with up to 70 students while eliminating half of the teaching force. He and Chancellor Joel Klein was the force behind the ATR crisis and was willing to waste 150 million dollars annually. He hated public schools so much that he closed 162 of them while approving just about anybody who wanted to open up a charter school. The Mayor allowed charters to inhabit underutilized public schools and used a suspect utilization factor to expand charter schools that were co-located with public schools. Finally, Mayor Bloomberg made sure all reserve funds were spent so that the more union friendly Bill de Blasio had no funds to pay teachers their retroactive raises. Was Mayor Bloomberg the education Mayer? Not by a long shot unless you're an education deformer. Overall, Bloomberg's impact on the school system was devastating. He destroyed schools that functioned well: I know because I came from two of them. My first school was I.S. 192 in the Throggs Neck section of the Bronx. The faculty was a family--we helped each other all the time, we socialized with one another, and we constantly worked to improve our school together. 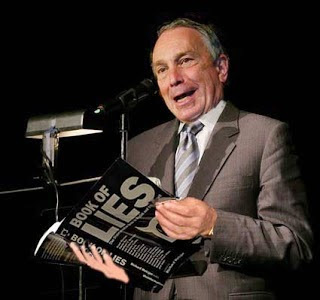 Bloomberg's approach to education was really all a scam--instead of talking to the people on the ground, the teachers, he hired lawyers and bureaucrats to bully us and push experienced educators and educators of color out of the system. For students, he destroyed each of the types of schooling that we used to have: CTE schools like Jane Addams (my second school) were closed. So much pressure was put on teachers that they began to teach to the test, neglecting everything else. What do you think you get when you have that? Students who hate reading so much it's actually frightening--and students who read on a second-grade level in high school. This is the real Bloomberg legacy. It's so sad. I literally lived in fear every day that Bloomberg was mayor. He had his flunkies target veteran and newbie teachers alike. He even said that classes should have 70 students in them. He created the Leadership Academy, had the DOE create a flyer on how to fire tenured teachers, and implemented an overall sense of dread in public schools. He is not missed. Lastly, if he actually runs for president, he has no chance of winning. His stance on gun control is so left-wing, that moderate and swing voters will never cast a vote for him in middle America. It's amazing that the fake news media, of which he partially owns, is still beholden to this Nazi midget...Bloomturd destroyed the schools, and the fake news media still rave about.his ed. accomplishments. He made things much worse, in reality. Bloomberg was not only a horror to teachers but to all other city unions. No union member should support him. He is a disgrace to not only the Jewish race but to the human race. Midget MIke bloombshits destroyed not only the nycdoe school system but he destroyed the livlihoods of many educators. Take for example the infamous atr pool. Bloomberg destroyed so many livlihoods with the self destructing atr pool that works well for no one. And why? But to really evaluate a mayor and how he controlled the city schools any media organization should interview teachers and educators who worked under his dime for 12 years. BLOOMBERg went to albany to try and undercut every UFT teacher trying to get lifo removed. This creep could care less about anybody as he was ready to fire as many teachers as he could and now this fake want so be president. Renewal Schools Program - Rest In Peace. NYC's Bogus Graduation Rate Increases Again.